Mowo! got to sit down with his old pal Moby. 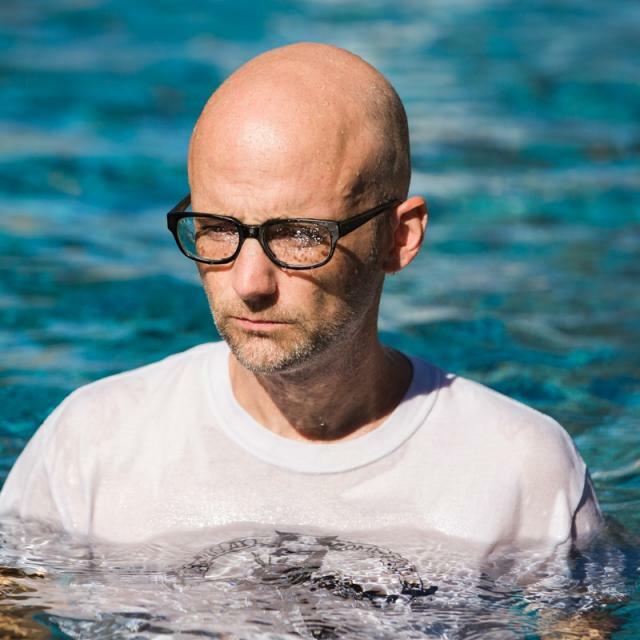 It should be noted that he got to sit down with his friend Moby outside poolside at Moby’s house.From time to time the audio is compromised by the subtle breezes of the rarified air of the Hollywood Hills hitting the recorders microphone. We apologize for the audio blips and bleeps but the content of the conversation far outweighs the audio quality. Subjects touched upon = The rats of the Hollywood Hills , Crack Addicted Landlords , Junkies jumping into garbage from the 3rd story of an East Village apartment building. The hidden secrets of Los Angeles , Two fellas moving to Los Angeles after a lifetime in New York City. A fun conversation that starts out with Moby explaining for the listener how he felt his career was over when “Play” was released. We all know how that worked out. It’s fun to sit down with a friend to find out he admires another very close friend and wishes he had more recognition. Moby’s comments about Hal Willner (the friend in question) alone are worth the listen. Also every once in a while it sounds like we are sitting on a boat and the anchor is hitting the side while we are drifting. Appropriate when you’re speaking to someone named Moby (………….moan here……now) CLICK THE LINK BELOW TO HEAR TWO BALD MEN SPEAK TO EACH OTHER ……….OH , AND THE EPISODE TOO. iTunes is alive! We need reviews and Ratings and your HELP!! I was listening to this podcast yesterday and was really enjoying it, but didn’t have time to hear all of it. I’m trying to listen to it today but for some reason the file is missing on the website as well as on iTunes. its back now! we did some site management and sadly it was removed for a little bit. You see it now? It’s there! actually strike that……working on it now…….re-uploading the files…..we have some issues with the site right now. SORRY! BACK IN BUSINESS!!!!!!! we’re up and working again. had an FTP issue. All fixed. Enjoy the rest of the conversation Emily.